"A place where friends and family meet, for meat, potato, and dessert to eat." ﻿Honey, home made summer sausage, handmade and hand dipped beeswax candles and cosmetics. Hours: Open year round Thursdays, Fridays, and Saturdays. Other days by chance or appointment. Manufacturers of quality wild bird and domestic bird mixes. , Over 100 styles of bird feeders for orioles, hummingbirds and wild birds. Serving our customers since 1992. , Check our spring and fall sales. 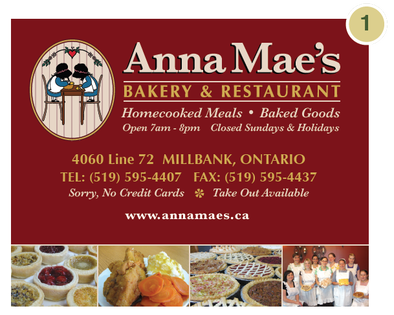 We are also located at St. Jacobs Farmers markets and the Stratford Farmers Market. Excellent Prices on over 1800 bolts of quality fabrics · PFAFF sewing machines sales and service. Hours: Open Monday - Friday, 8:30am - 5:30pm, and Saturday from 9:00am - 5:00pm. Custom Covers to suit your needs. We do A/C covers, tarps, boat covers, golf cart covers, buggy blankets, quilts plus more! 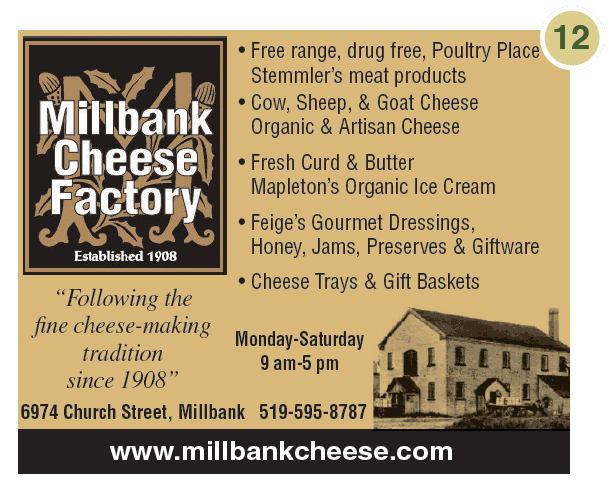 "Millbank Cheese FactoryFine Cheese Making Since 1908" Visit this unique cheese outlet and taste a variety of Canada"s best cheddars and speciality cheeses. Buses by appointment. 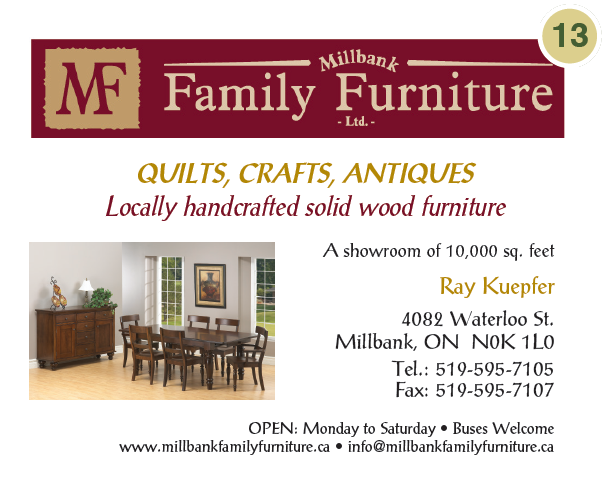 "The furniture here a Millbank Family Furniture Ltd. is all handcrafted by the local craftsmen who have had the expertise handed down to them by their ancestors for generations." One of the largest selection of quilts, wallhangings, crib etc. in Canada. Buses Welcome! steaks, ground beef etc. Chicken by order. Retail from December - March. Ask about fundraising! Old Fashioned Meat & Cheese, Summer Sausage, Pork Sausage. 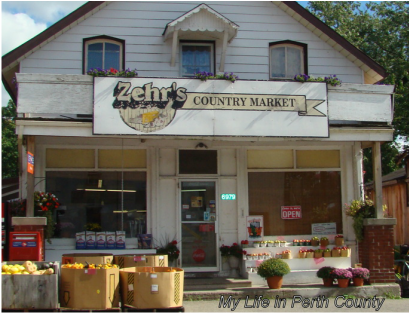 Deli Sandwiches, Groceries & Bulk Foods, Post Office, Local & Niagara Fruits & Vegetables in Season.